The Haynes Publishing Group was founded almost 60 years ago now, and during that time, countless fascinating books have been published – from manuals on Astute Class Nuclear Submarines, to the Large Hadron Collider, to the more quirky and tongue in cheek, Zombie Survival Transport Manual: Post-apocalyptic vehicles. Here at WeBuyBooks, we are big fans of used Haynes Manuals, so if you have a neglected collection gathering dust in your home, sell them quickly and easily us! 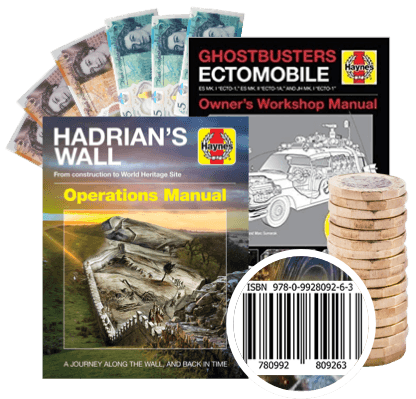 How do I exchange my Haynes Manuals for cash? You won’t have to wait for long, we pay you the very next day after we’ve checked your Haynes Manuals. Sell used Haynes Manuals on the go with our mobile app! It transforms your phone’s camera into a clever scanning device, meaning you can get valuations for your used Haynes Manuals whenever and wherever. 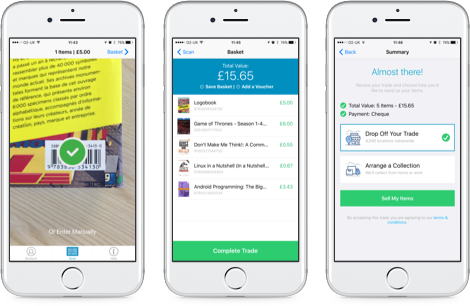 So, even if you’ve got piles and piles of used Haynes manuals to sell, it won’t take you long to swap them for cash! Does the condition of my used Haynes Manuals matter? We are happy to accept many Haynes books, even if they have underlining, annotating or highlighting (as long as they adhere to our item condition guidelines). But if your used Haynes Manuals look like they’ve been through a zombie apocalypse themselves, we might not be able to buy them… Check our guidelines to avoid disappointment. 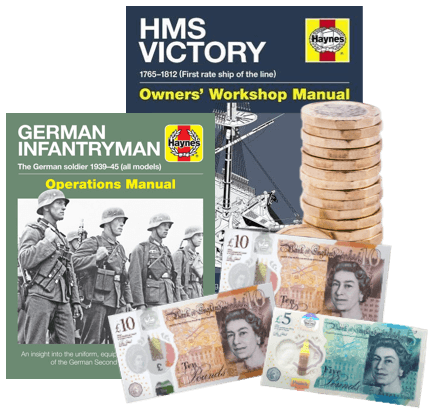 Send your Haynes Manuals, DVDs, games and CDs to us and we’ll send you some money. Less clutter at home and more money – what’s not to love about that? So don’t wait – sell online today with We Buy Books. If you’d like some extra help, then please don’t hesitate to get in touch. Just give us a call on 01706 248281.